This is the time of year when I always start to think about the holidays. Where are we celebrating? Who’s bringing what? And anything else that goes into getting the whole family together. Well, this year we’re celebrating at my place. And I want to make sure my home is the perfect setting for this years family meal. The Table Placement Set is perfect for impressing your dinner guests with your taste in holiday decor. 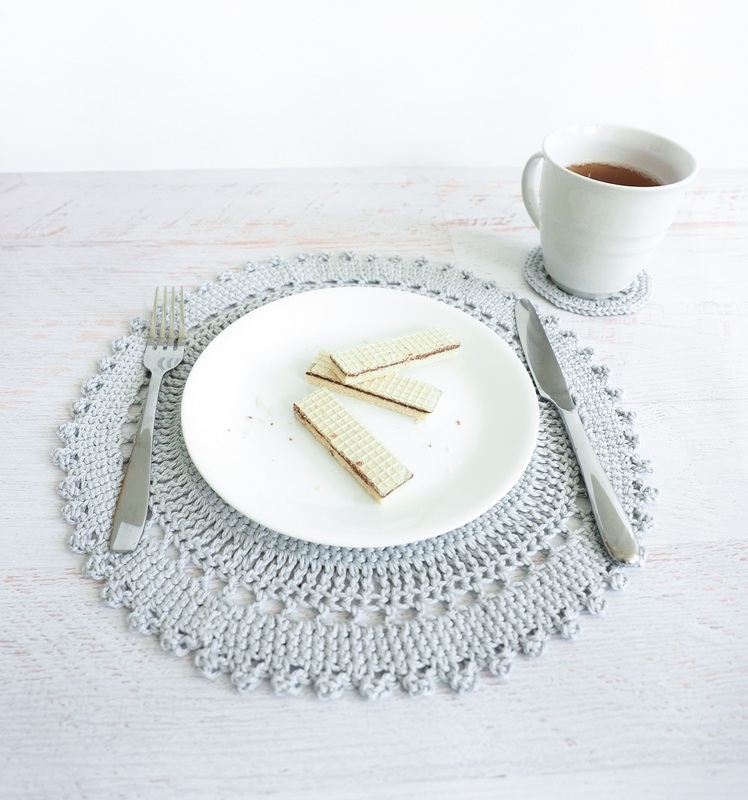 The set includes a crocheted placemat and coaster setting. 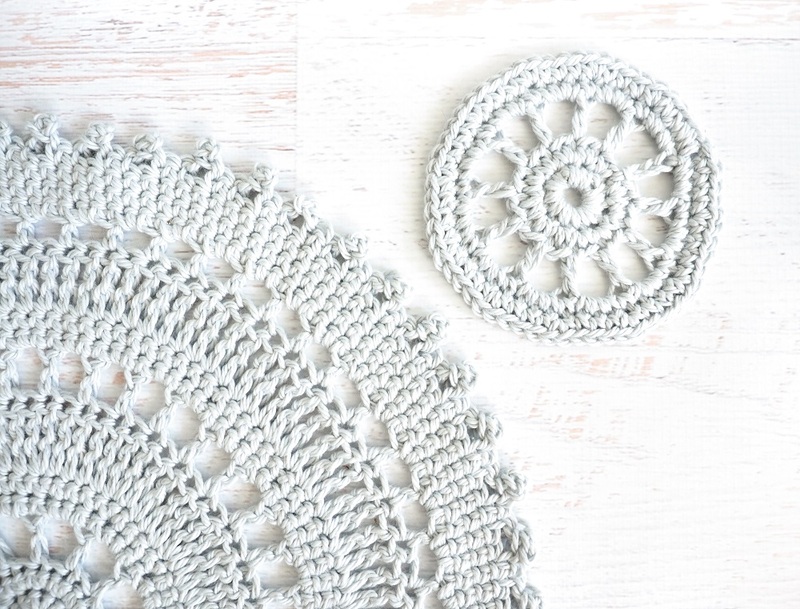 The patterns are delicate and lacy, and easy to create too! This set is made by alternating double, single and treble crochet stitches in a beautiful blue hue. But you can make these stylish settings in whatever color suits your decor. The 100% cotton yarn the pattern calls for comes in various shades. So, you’re sure to find something you like. And if you’re not hosting the family this season, you can bring an original gift for the host. 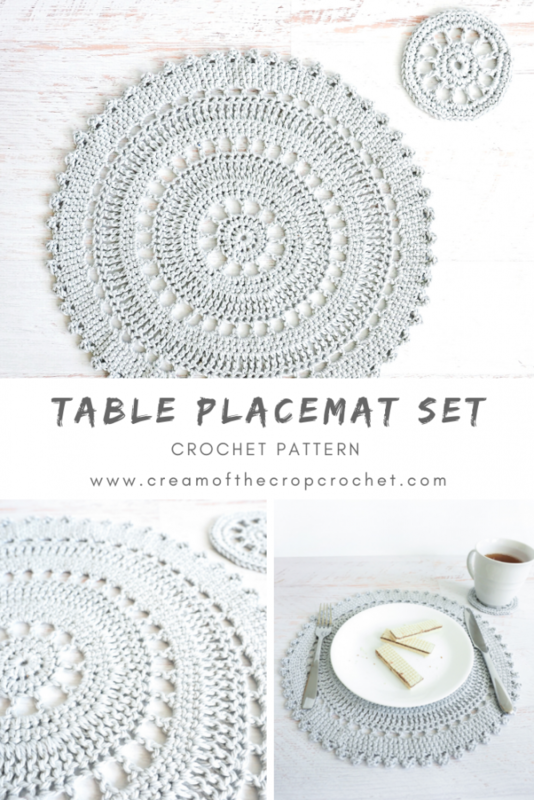 I put together a pattern kit for this Table Placement Set that has everything you need to make an amazing gift for the host. 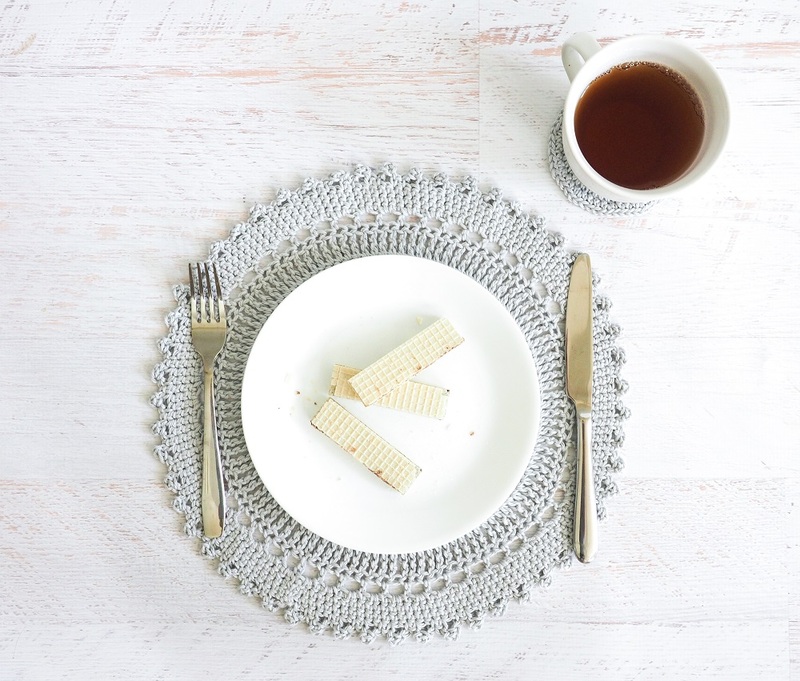 Every kit includes the digital PDF pattern for both the coaster and the placemat. And it has all the yarn, in the rich blue shade, needed to stitch this set up. Get The Kit Here. 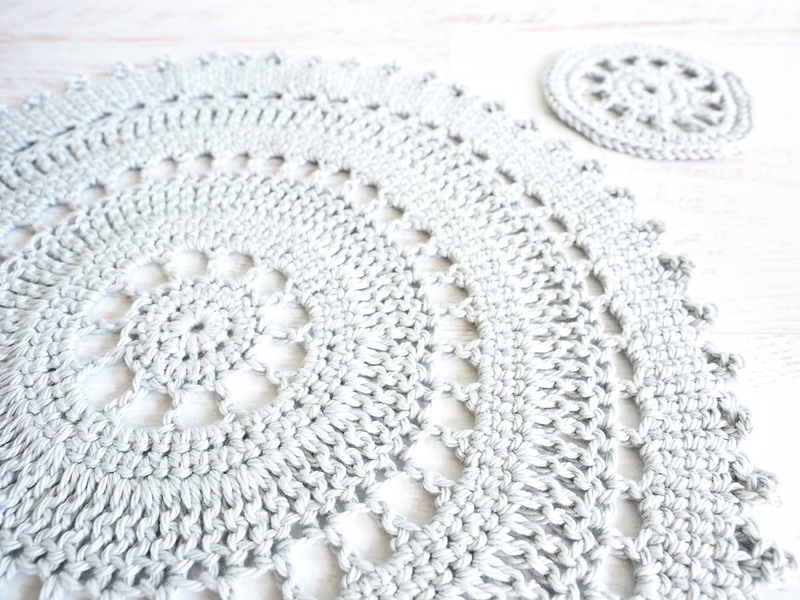 Show up to your family gathering with placemats and coaster settings for everyone, and really impress the family! You can pick up a kit or several here and get a head start on your holiday planning. Keep checking in for other holiday prep ideas I’ll be sending out this season. As I always say, you can never start too early! Suggested yarn: 1 skein Universal Cotton Supreme – Silken (723). 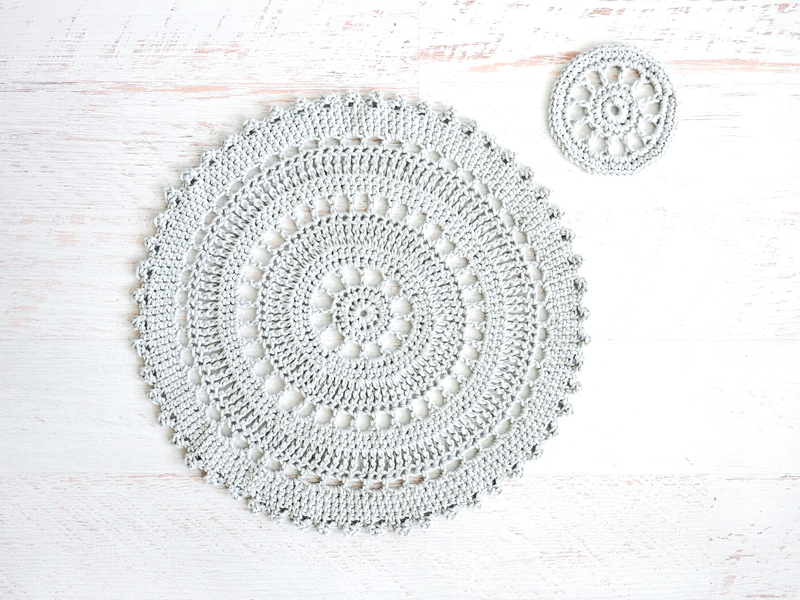 Get this yarn and the digital pattern in the Modern Tea Towel Set Crochet Kit we put together here. Cut yarn and tie off, sew in all ends. This Table Setting is so beautiful and detailed that it is certain to impress any guests that see them. Once you understand the various stitches, you will breeze through this pattern. They are so elegant and straightforward. Why not make a set for every season?